Relax and enjoy the Great Ocean Road. It’s hard to not be relaxed in this environment. Apart from obvious activities, the Great Ocean Road is all about taking things easy and enjoying the region, the glorious coast, the lush rainforest and the laidback towns along its course. There are beaches and resorts along the coast to enjoy Great Ocean Road spas and relaxation. Many choose to relax in a hot spa Jacuzzi after an exciting day travelling the road. 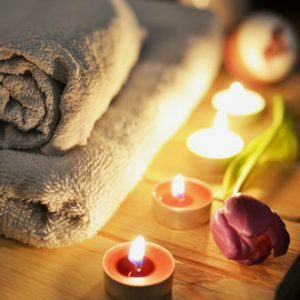 Along with well-rated day spas are spa resort hotels that offer all types of health and beauty treatments. These can typically be found in the larger towns, such as in Torquay, Lorne, Apollo Bay and even within the Otway Forest. The Wyndham Resort in Torquay is a good example of a day spa, while even before you get going on the Great Ocean Road, or indeed if doing the route from west to east, both Geelong and Bellarine have spas for massage, waxing, holistic therapies, you name it. Others include the Apollo Bay Spa, which is right in the heart of this tourist town and does all kinds of treatments. There is even a mobile massage service in town, so the therapist can come to you. In addition, a good variation on the Great Ocean Road spas and relaxation theme is to enjoy the geothermal waters at the Sebel Deep Blue in Warrnambool. Walking on the beach and along the trails in Otway National Park are major pastimes. There are short and long trails along the coast, and the air is just so fresh. There are also many beautiful waterfalls within Otway, such as the cascading Triplet Falls, while the Great Ocean Walk covers a swathe of this region, on towards the sublime Twelve Apostles. Many hotels, even standard places, in Great Ocean Road towns offer massage services, even if a simple hot foot spa. This is just heaven after a long walk along the coast or in the bush.